This session is from a Basic Class in which students are learning to access parts. 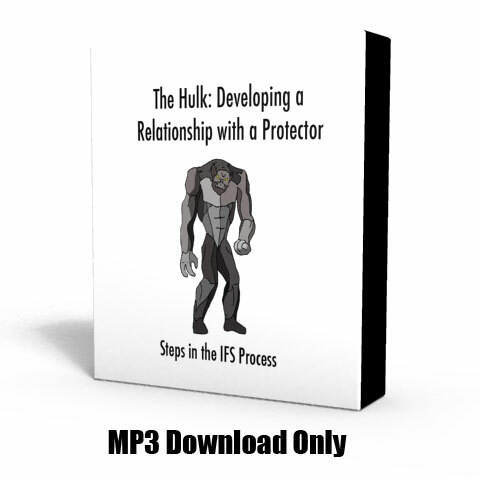 This student had an experience in an outside group that morning that activated a protector part named The Hulk. In this session, she begins to explore and develop a relationship with the part.